I have a super dry body area. Apart from my usual body lotion. moisturizer etc. I love using body oils. 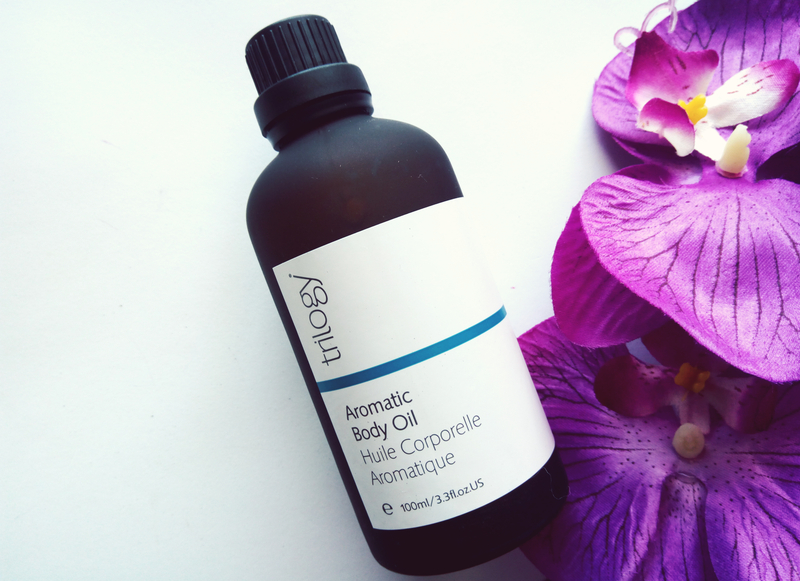 I love body oils that are fast absorbing on skin, non-greasy, moisturizing and has aromatic and therapeutic properties that protects skin and helps alleviate stress. 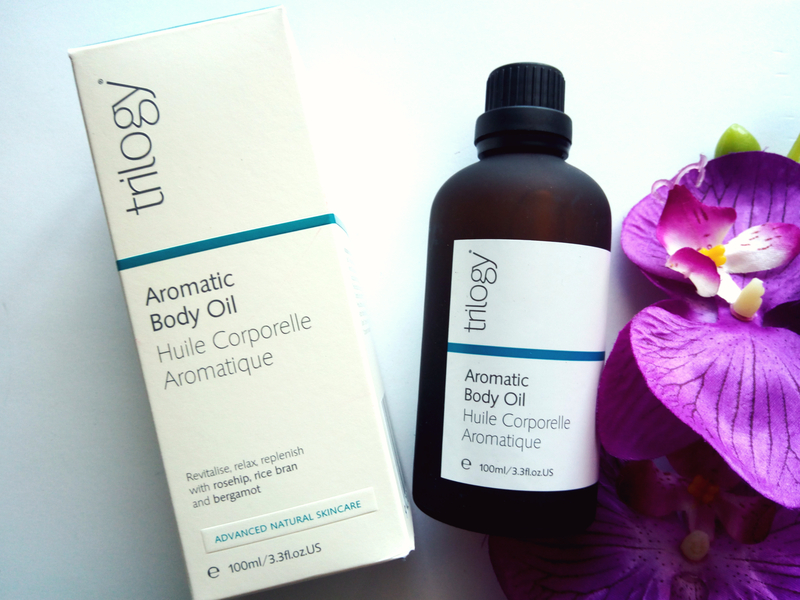 For more than 2 months, I’ve been using this Aromatic Body Oil from Trilogy. Its a lightweight blend of seven of nature’s most nutritious and nourishing pure plant oils to soften and protect the skin. 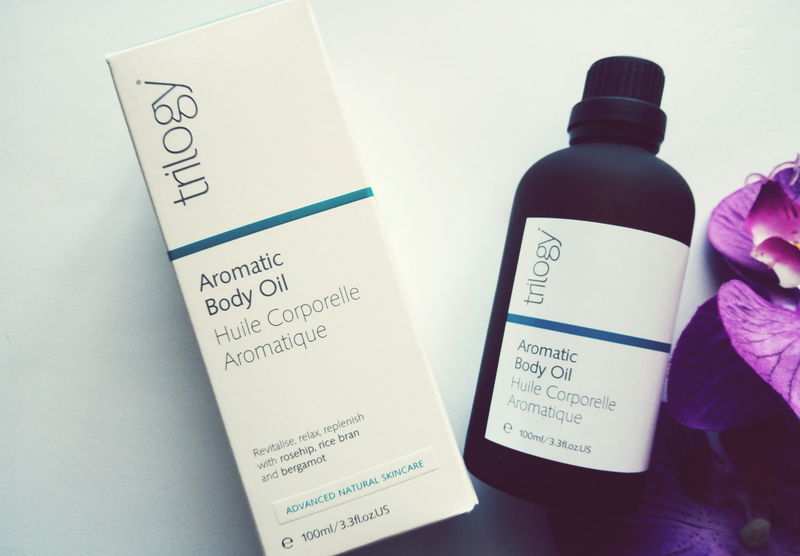 In this review I am sharing my experience using this body oil. 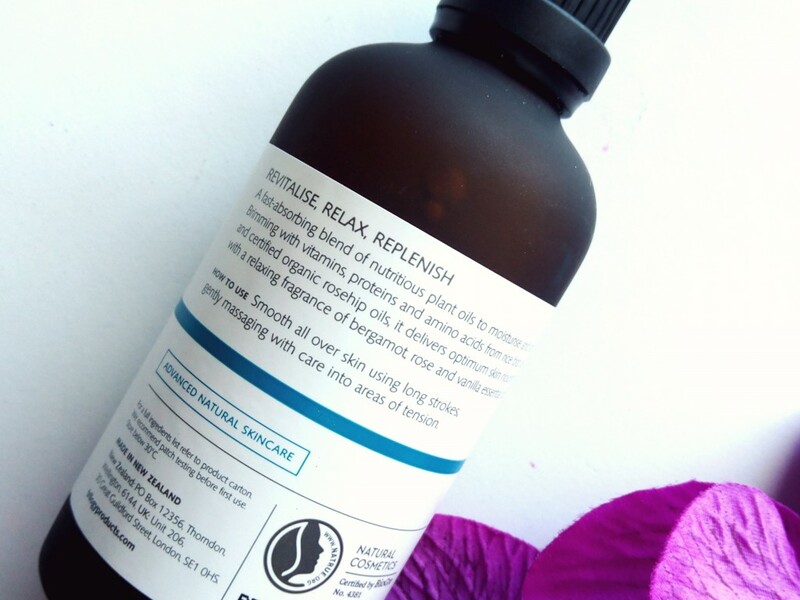 Revitalise, relax, replenish with rosehip, sweet almond, bergamot. Brimming with vitamins, proteins, amino acids and essential fatty acids from Rice bran, avocado, calendula, evening primrose and certified organic Rosehip oils, this oil delivers optimum skin softness and suppleness. Naturally soothing essential extracts of Bergamot, Rose and Vanilla help relieve the impact of environmental and lifestyle stress for the ultimate in relaxation. Smooth over skin using long strokes, gently massaging into areas of tension with care. Let me start my review of this oil by talking about the packaging, It comes in a dark glass bottle. A plastic cap ensures only a couple of drops at a time, Say no to oil spills. I think there is a pump version as well. I jar I got contains 100 ml and costs NZD $35.90. It has a bergamot smell. Like other oils, the best way to apply this is, use it on the damp skin area. Ideally, before Towel drying after a shower, I usually take a little amount of oil and warm it between my palms before applying it. As I apply to my damp skin, its super easier to massage, What I love about this is , It absorbs very fast without leaving your body greasy. leaves skin super hydrated. Another wow factor about this oil is that, You can pretty much use it as a pre-shower treatment oil. Massage it on to the entire body area. Take your time and massage this oil gently on to your body area and finish of with a hot shower using the trilogy botanical body wash! Best way to combat that daily stress. I love to use this as a pre-shower oil every night. One bottle can easily last 3 months if used daily. 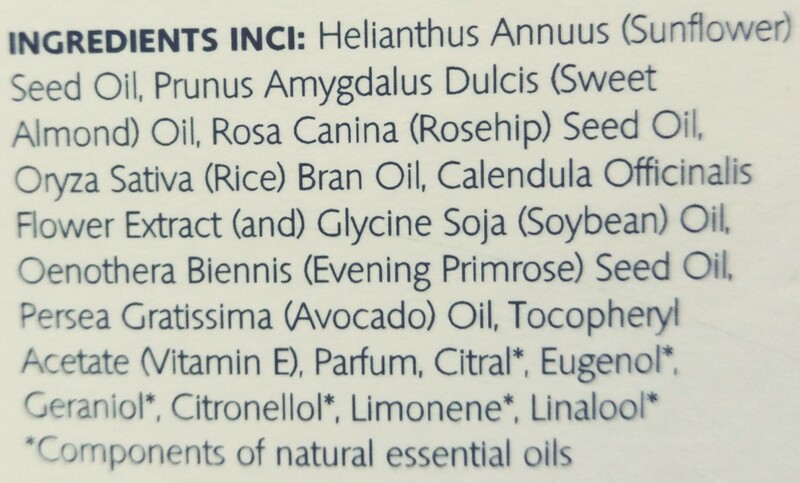 Also, the aromatic blend of 100% pure, preservative-free oils makes it a must buy product from the brand. I am soon to finish this bottle. Will surely repurchase!! Highly recommend this.